Is there a way to pray for our troops in all the places in the world where they are in harm’s way that will improve their safety? This is a big question for mothers and fathers and other relatives as they tearfully wave goodbye to a loved one leaving for war. Do those who pray have any better chance of coming back alive than those who don’t or who don’t have anyone praying for them? How many Americans have been killed in various conflicts just in the last fifteen years? I’m quite sure that many of those were Christians; I’m sure prayer went up for many who are now dead or wounded. So what happened? Is this just a lottery and when your number comes up you are taken out? It is true that God has our days numbered. “And in your book they all were written, the days fashioned for me.” (Psalm 139:16) It is also true that “the effective, fervent prayer of a righteous man avails much.” (James 5:16) So everything in our life is not already written in stone as if we were governed by fate. Prayer matters. Prayer changes things. To those who are hoping and praying for the safe return of their soldier, this is more than a philosophical discussion; praying effective prayers is a matter of life and death. So let’s examine some specific and practical ways to insure God’s protection no matter how hot the battle or dangerous the assignment. Since we are talking about prayers of protection for our military, let’s approach this from a military perspective. Battles are planned. Military strategy is used. Soldiers do not just run out on a battlefield and start shooting in every direction. That would be a big waste of ammunition and energy. Chaos and loss of life would result. While the soldiers ultimately implement the battle plan, the war is often won beforehand in th situation room by generals and war strategists. For the prayer warrior with a soldier in combat, what is the winning strategy? Let’s start with using the Word of God both as an offensive and defensive tactic. A tactic is a method of employing forces in combat. Each time God’s Word is propelled into the devil’s territory, Satan takes a direct hit. There are no misses when using the Word of God. Your confidence in the truth of the Word is an additional boost to your weapon’s success (like a smart bomb). As an offensive tactic, your prayer takes ground; as a defensive tactic your prayer keeps ground and prevents the enemy from taking ground. In a practical sense, offensive prayers are those which affirm and proclaim God’s care and protection over your loved one. Here are some examples. I’ll throw in some fictitious names as samples. Of course, you could literally pray thousands of prayers from God’s Word like the ones above. The better you know scripture, the more smart bombs you will have in your arsenal to lob at the enemy. Defensive use of God’s Word also put Satan in his place. You can remind him of the fact that he is under the feet of Jesus as a footstool; that he is defeated because of the blood of the Lamb or that he will be chained to the lake of fire for all eternity. “We set up a guard against them day and night.” He was vigilant and smart about preventing an ambush. Additionally, he arranged for the workers to be split into two groups. While one group worked, the other held the spears, shields, and bows. Then he had those rebuilding the wall carry their load in one hand and their weapon in the other. Behind them were captains who watched the whole process. And finally, Nehemiah had a trumpeter stand near him as he surveyed the work in order to sound the alarm quickly if needed. Miraculously, the wall was finished in fifty-two days. Now you can apply Nehemiah’s wisdom as you pray. Leave no opening for the enemy to ambush your loved one in the military. 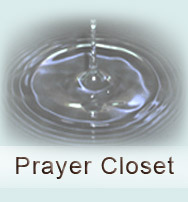 Pray with every kind of prayer such as praise, singing, intercession, prayer of agreement. Pray specifically. Include fasting in your prayer routine. Pray at times when you know your soldier is on duty. Do you know where he or she is stationed? Get a map, lay your hand on it as you pray; anoint it with oil and hold fast to God’s promises. Pray for the enemy to be confused, to be exhausted, to lose heart in the war, to desert their army. Pray for God to assign angels to protect, and bring success to every mission your soldier participates in. Be aware of time zones and pray at the strategic times when they may be most vulnerable. Ask the Holy Spirit to show you how and when to pray and give you the ability to pray fervently and effectively. “I searched for a man…who should build up the wall and stand in the gap before me…but I found no one.”? (Ezekiel 22:30) Is God searching for someone to stand in the gap for your soldier? Don’t let it be said that he found no one. Raise your right hand and volunteer.